Powerful tools for admins and audiences. Driving the vision for a world without violent conflict. The United States Institute for Peace is an independent, nonpartisan, federally-funded organization which works to prevent, mitigate, and resolve violent conflict around the world. USIP engages directly in conflict zones and provides analysis, education, and resources to those working for peace. USIP required strategy, design, and tools to expand their digital reach and effectively share crucial peacebuilding resources. WDG worked with USIP to create a comprehensive content strategy, a design for user engagement, and powerful information architecture. Through improved design and user experience, USIP has been able to drive awareness, increase education, and improve time spent on page. A Platform That Inspires and Engages. WDG built a powerful, integrated platform which assists USIP in its goal to inspire national and international audiences to build a world without violent conflict. 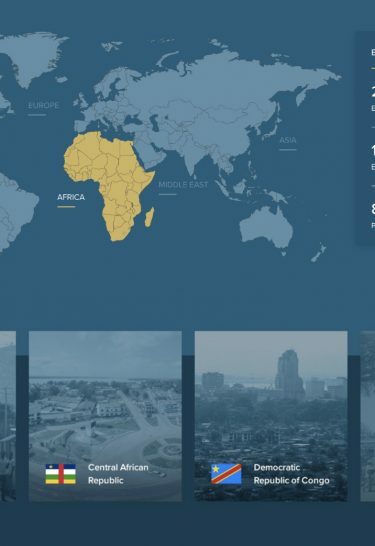 WDG’s design team created a visual structure which appeals to users and accurately represents USIP’s mission while broadening its worldwide impact. WDG developed sitemaps and taxonomies to allow users to interact easily and efficiently with USIP’s different content. Our team implemented Google tag manager as well as Apache Solr, Acquia Search, and a custom Search API to create a user-friendly search experience. 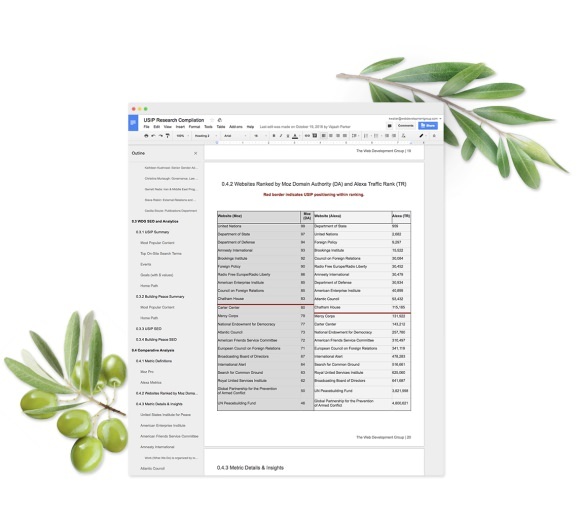 WDG wireframed each type of content to have a distinctive look and tailored feel. Glanceable content was crucial for user engagement. Creating Space for Peacebuilding to Thrive. 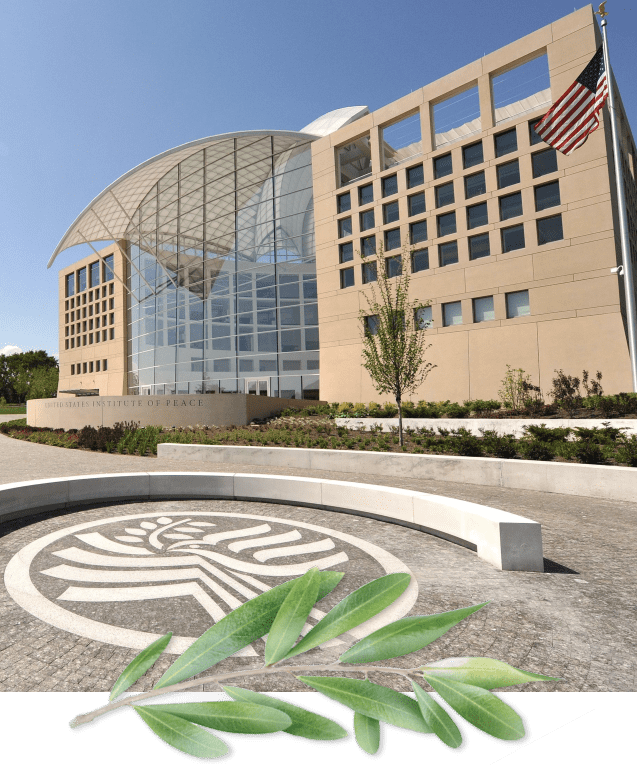 The WDG design team implemented USIP’s updated color scheme into the new design. WDG designers wished to incorporate a vibrant, airy, open feel which would complement both USIP’s physical and digital presence. Additionally, WDG worked with USIP to create custom issue area and flag icons, maps, and templates which seamlessly guide the user to target destinations. Preventing, mitigating, and resolving violent conflict requires concentrated effort and active engagement. USIP asked WDG to create a digital presence which would encourage user interaction. Our developers integrated modules such as Google Analytics, Salesforce Marketing Cloud (Web Collect), and Disqus, which would handle everything from USIP’s events analytics to their blog comment section. Additionally, WDG integrated AddThis to highlight USIP’s active social media presence. A main issue with USIP’s older site was the search function. All users should be able to quickly access necessary resources. Our team implemented Google tag manager as well as Apache Solr, Acquia Search, and a custom Search API to create a user-friendly search experience. Building Peace Through Meaningful Connections. WDG’s strategy team developed a roadmap to allow USIP’s web visitors to find what they need quickly and effectively. 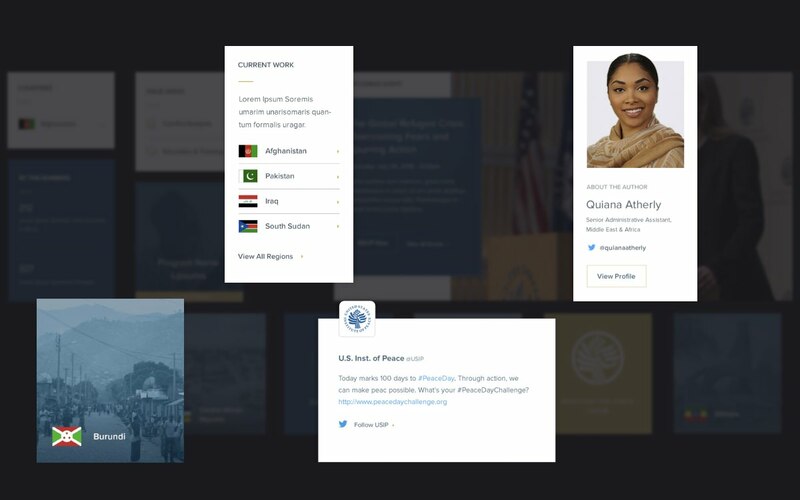 Our information architecture team organized USIP’s content to be intuitive and user-centric. WDG’s design team created a visual structure which appeals to users and accurately represents USIP’s mission. Lastly, our developers built a powerful, integrated platform which adapts to USIP’s current and future needs. USIP plays a key role in inspiring national and international audiences to build a world without violent conflict. WDG built a platform which would assist USIP in its goal to accomplish its crucial mission and broaden its worldwide impact. Mobile UI/UX solutions for disaster relief.